The friendship between the Internet of Things and smart packaging continues to blossom. As technology continues to evolve and automated solutions become ever more ingenious, the Internet of Things is transforming the packaging industry. So much so, the smart packaging sector is expected to be worth £40bn by 2025. 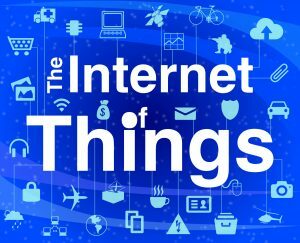 The Internet of Things or IoT refers to everyday objects being connected to and sharing data with the internet through a computerised implant. Smart packaging is packaging that is augmented through improved functionality and being able to communicate information and content status. The process is a blend of science, technology and specific materials. Isn’t this type of packaging too expensive? It used to be. Nowadays it’s believed smart packaging is within reach of most budgets across the packaging industry, no matter how meagre they may be. The IoT aims to slash expense at every stage of the supply chain, as well as offering critical gains for logistical and record management. Experts believe its reducing cost has transitioned it from the preserve of from high-value merchandise to mainstream packaging. The immediate challenge is establishing how to recycle packaging that originates from multiple sources. Experts warn it’s critical that the packaging industry works closely with recycling specialists to ensure products meet recycling standards. Some companies such as Thinfilm have already replaced silicone with an innovative printing process: printing onto strips of recyclable steel the width of a human hair. It is hoped that further technological advancement will result in smart packaging that is able to communicate what materials were used and how the product needs to be recycled. In addition to impressive innovation, there are also lifesaving and practical potential benefits such as for the pharmaceutical packaging sector. Benefits include packaging offering protection against forgery, temperature tracking as well as general monitoring that includes raising an invoice and triggering replacement supply when the packaging is opened. The opportunity for the packaging industry to enhance its products, processes and gather invaluable insights into ever-evolving consumer needs is being enthusiastically explored across all sectors. It remains to be seen whether consumers have a genuine desire for this level of technology infiltrating their everyday lives. Experts have discovered there is a disconnection between initial curiosity and actual consideration when the product is introduced. Near Field Communication (NFC) tags are also expensive. However, this unit price is expected to drop when new production processes are rolled out. There are a few preliminary hurdles to iron out before smart packaging such as NFC is available and affordable across the print industry. Imagine a bottle of whisky that can tell you if it’s been tampered with or opened. Diageo already has. It has created packaging technology using very thin electronic sensors. A hotly anticipated development – presently being researched – is spray-on electronics removing the need for chips. And Bluetooth tags that have the capacity to expedite data to compatible smart phones. The collaboration between the Internet of Things and smart packaging is creating some magnificent packaging solutions. The potential of smart packaging is remarkable.